WRCS Capabilities in Surface Water Resources Engineering - Experts/Consultants in Hydrology, Floods and Drainage. WRCS specializes in the analysis of water resources projects involving the hydraulic design of stormwater drainage, conveyance and detention facilities and studies of surface water hydrology and hydraulics, meteorology, sediment and debris production, and pipe system hydraulics. Our expertise covers the design, operation and maintenance of: dams and reservoirs, highway drainage systems, storm drains, natural and man-made channels, levees and embankments. We also have extensive experience in statistical analysis and hydrographic data management, water resources project alternative plan development, benefit/cost analysis and forensic flood re-creation under alternative scenarios. The Principal Engineer, Mr. Richard Van Bruggen, has over 35 years of engineering experience specializing in the use of systems engineering and modeling techniques to define and evaluate water resource systems and alternatives. He has both a B.S. and M.S. degree from UCLA in Water Resources Engineering and worked for the Los Angeles District of the Army Corps of Engineers for four years, where he was a Project Manager. As such, he conducted hydrology studies, developed flood control project alternatives and, as part of the Reservoir Regulation Unit, gave real-time dam operation (gate opening) directives to dam keepers, during flood events, for over a dozen Federal dam projects in California and Arizona. He has also worked as a Project Engineer for two prominent civil engineering consulting firms. He has, most recently, been the owner of WRCS for the past 29 years. Mr. Van Bruggen is licensed as a Registered Professional Civil Engineer in California (RCE #41202). 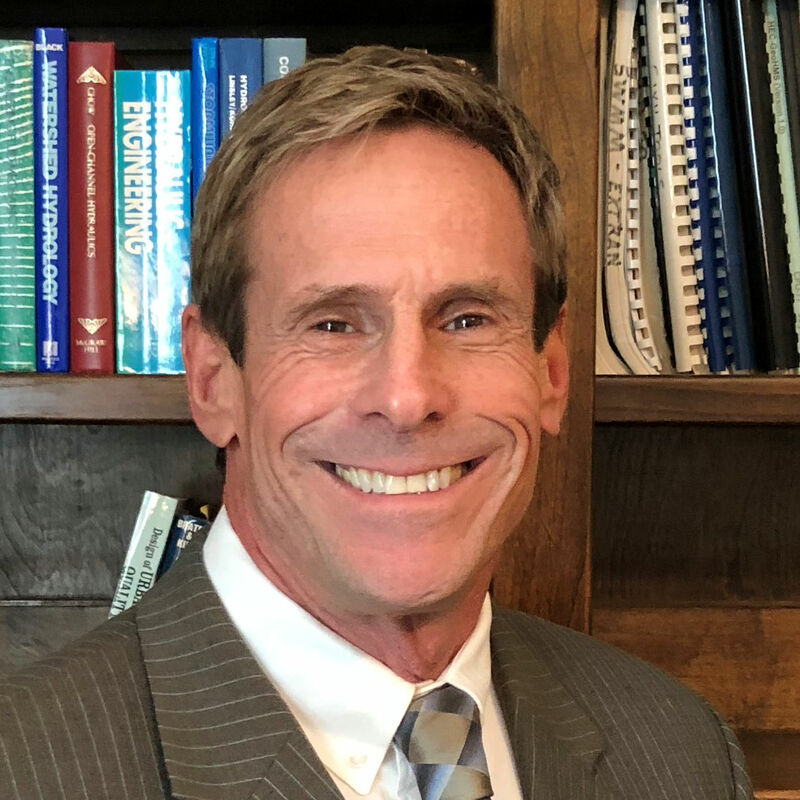 Mr. Van Bruggen has experience as an expert witness in cases ranging from the Standard of Care for the design of storm drain systems and operation of reservoir systems, to the forensic re-creation of storm and flood events, to the hydraulic factors leading to a wrongful death by drowning. He has performed hydraulic environmental impact analyses, redefined floodplains and developed storm drain master plans. If the project concerns surface water resources engineering, he probably has the capabilities. Mr. Van Bruggen's CV is available here.